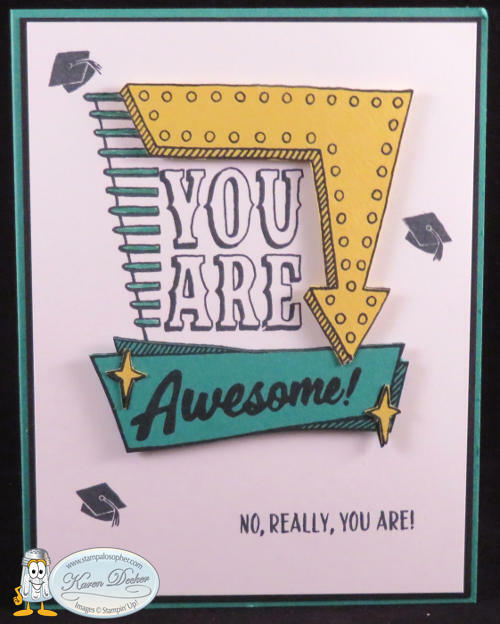 By Karen Decker in All Occasion, Birthday Generic, Graduation, Thank You on May 25, 2018 . 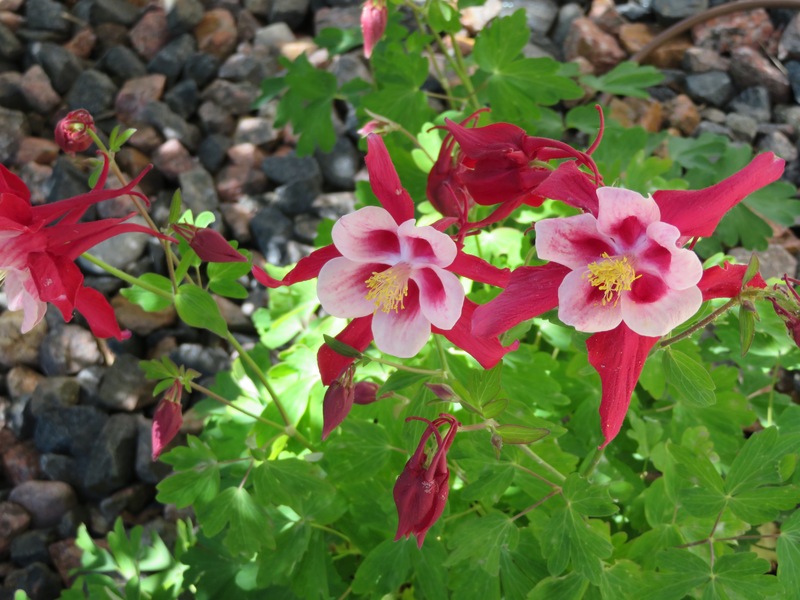 Spring has been gorgeous in Castle Rock this year! 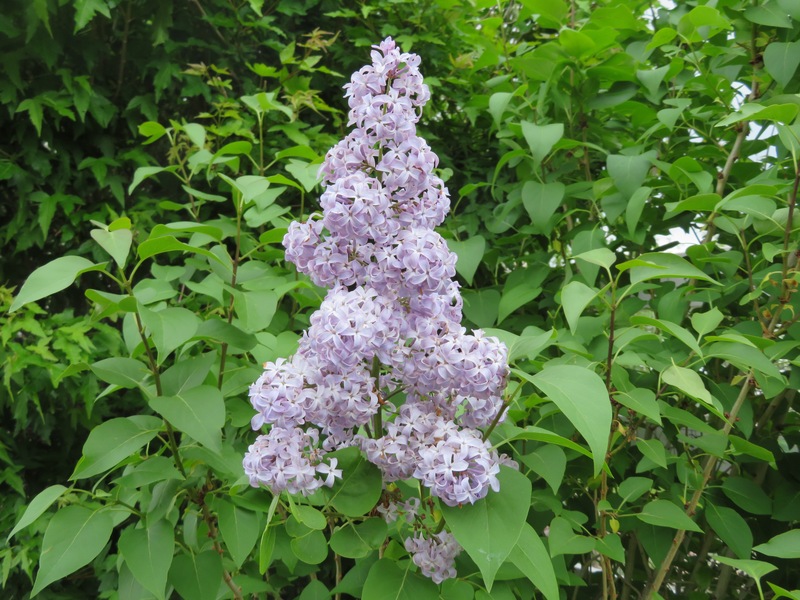 Usually our lilac buds get frozen with a spring cold front and we miss out on the beautiful blossoms. Not this year! They are fabulous and I didn’t even have to run out and cover the bushes with a sheet. 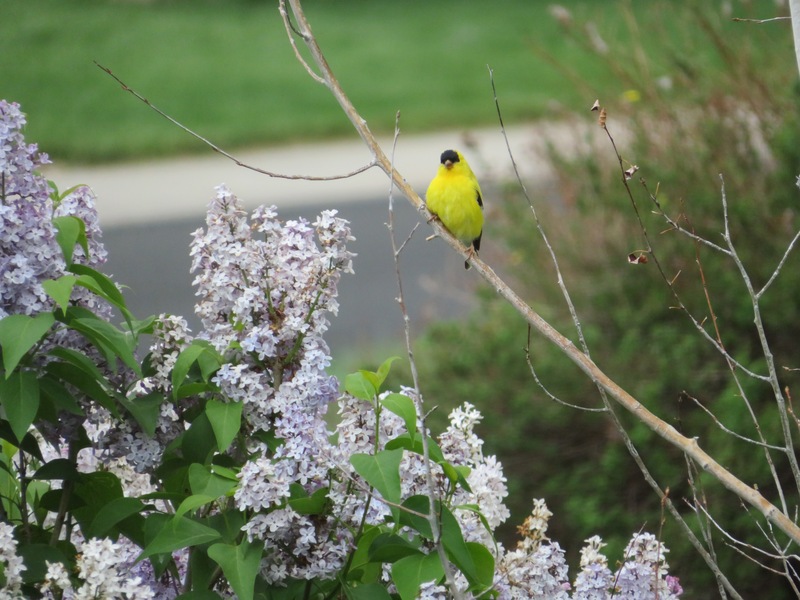 We have several little yellow finch friends to entertain us as well. One flower I have never had much luck with is the tulip. 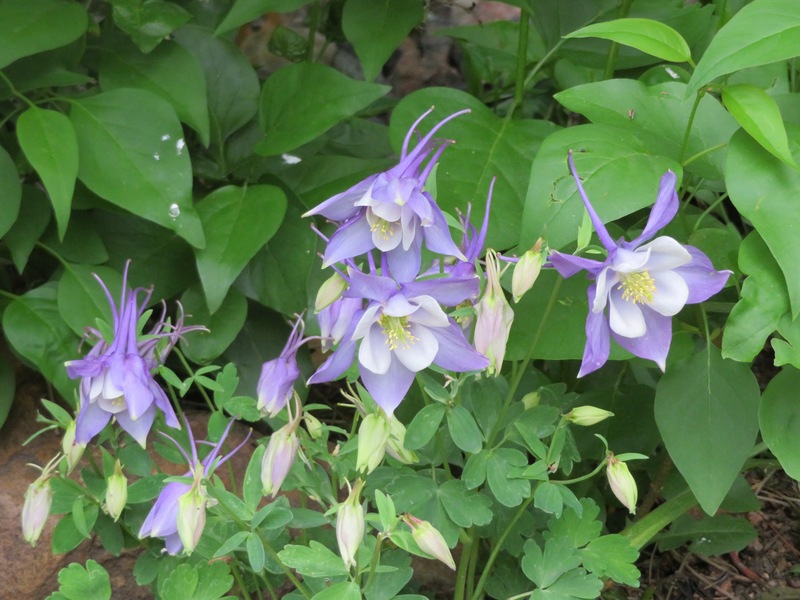 The green stem will pop out of the ground but seldom produce a flower. 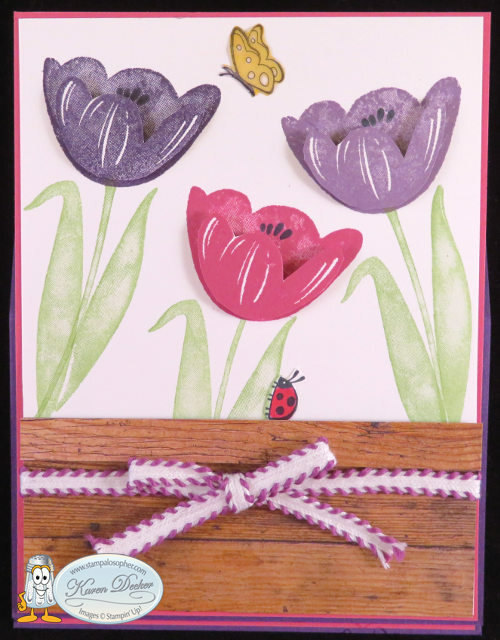 So let’s make a paper tulip card! These tulips have amazing art work built in to the stamps- white stripes on the blossoms, leaves with shades of green and a stamp for the middle. This set will be retired in 6 days. 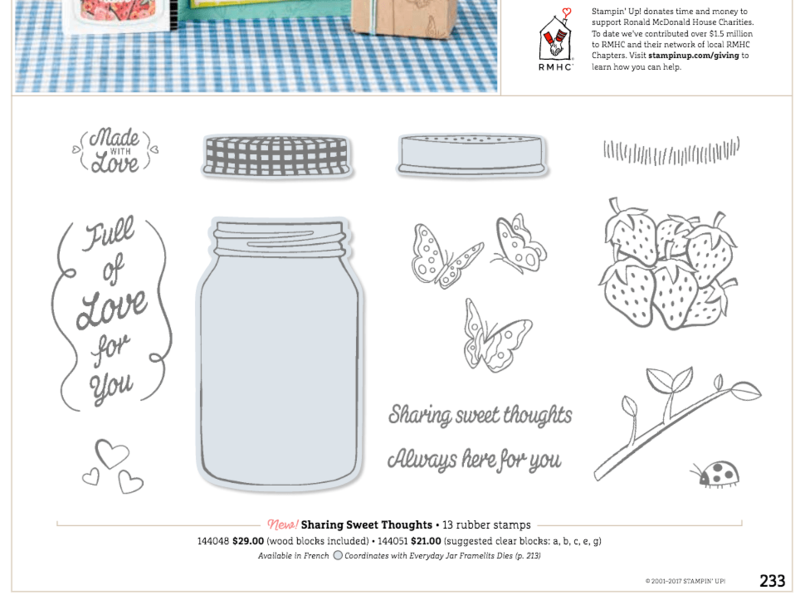 The little ladybug and the butterfly come from the Sharing Sweet Thoughts stamp set inside the back cover of the annual catalog. It is our last Ronald McDonald House Charity catalog set and your purchase contributes to that cause. We will be doing additional specials in the future for various charities so keep your eye out for those and purchase this last catalog RMHC stamp set now to help families in crisis stay close to each other. 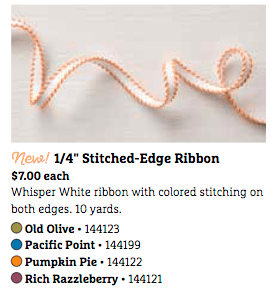 If you place a $150 order you will have $5 additional free products after purchasing Tranquil Tulips so let me suggest the retiring 1/4″ Stitched-edge Ribbon or the Enamel Shapes. There are many new embellishments this year but none have the hearts of the Enamel Shapes offered this year in Brights, Regals and Subtles. Hmmmm…you can’t see them very well here so I will take a close up of the greetings. 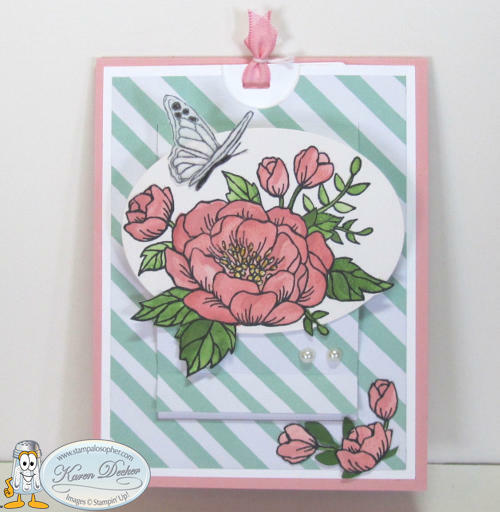 The label I used to create the stand for the Easel card is from the Label Me Pretty stamp set. 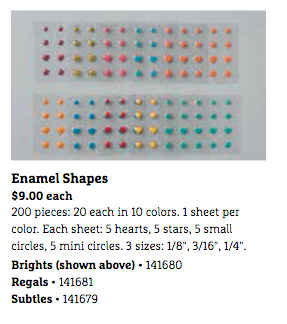 The stamps and punch will be offered in the new catalog but they will not be bundled for a 10% discount. 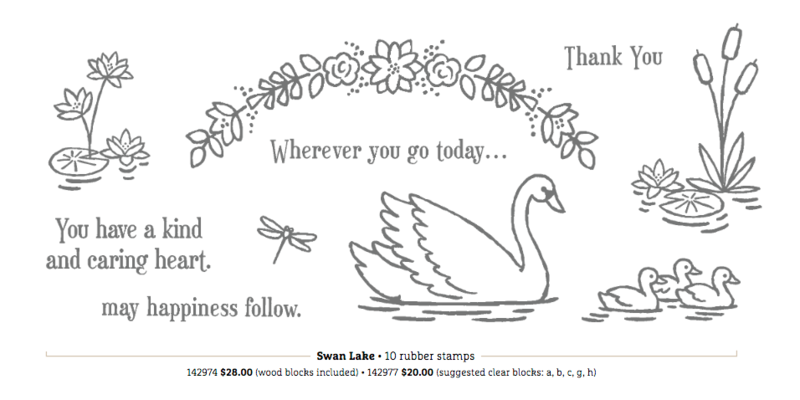 The “Thank You” comes from another retiring set “Swan Lake” on page 142. 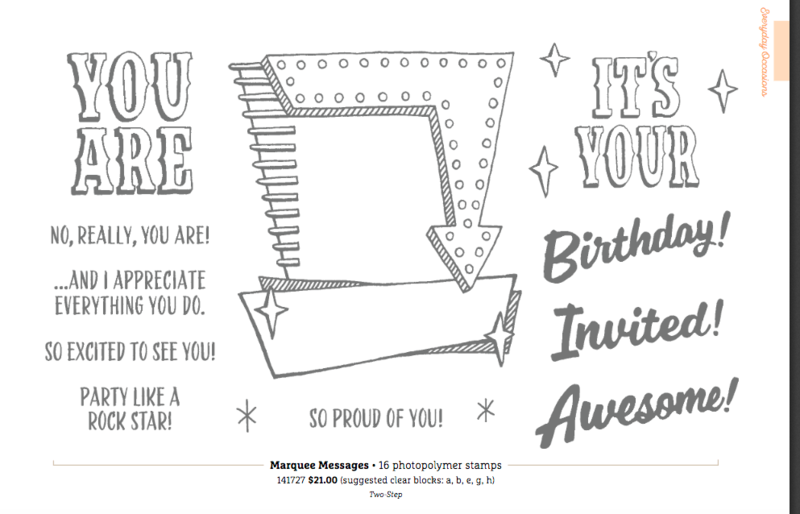 Did you notice the Versa Mark images on the sides of the popped up greetings? 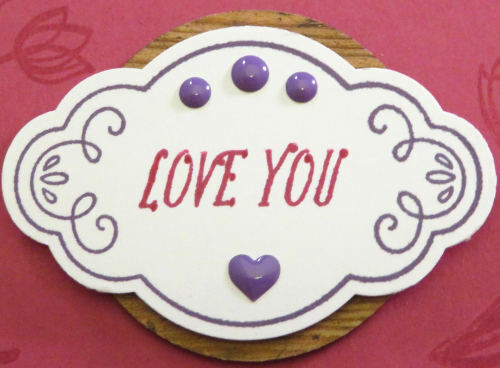 I used the hearts from the Ronald McDonald set to stamp around the birthday greeting since it is going to my daughter. For the others I used tulip images from the ‘Lovely Wishes’ stamp set in the Occasions Catalog. Sadly, this set does not carry over. 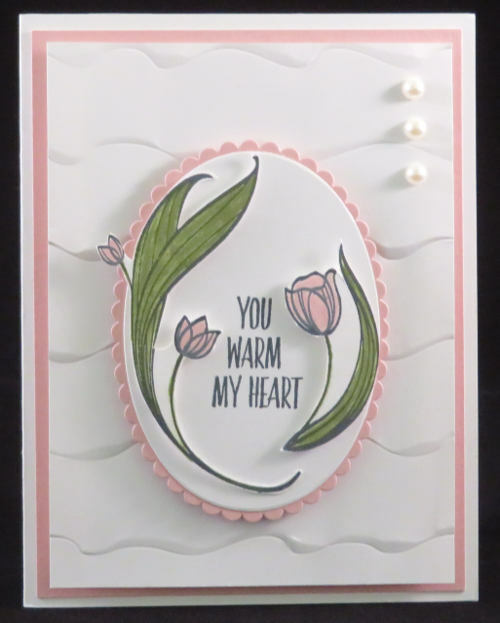 I needed a sympathy card so I took her design and used the ‘Petitie Pairs’ stamp set from the past for a tiny greeting to fit between the flowers. I have the old Ovals set so I sponged the edge to get the same look as the ‘Layering Oval’ set used above. The layering ovals, squares and circles carry over in to the new catalog. 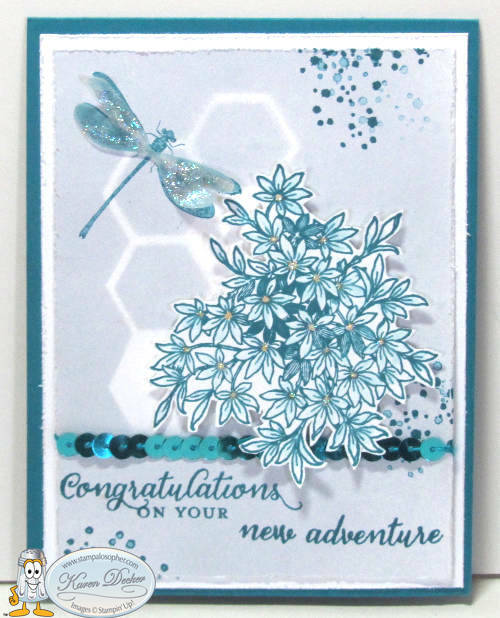 I didn’t think I wanted the ‘Ruffled Embossing Folder’ used here until I actually used it in the stamp camp. It is unique and not just for shingles on a house like I imagined and it carrys over. 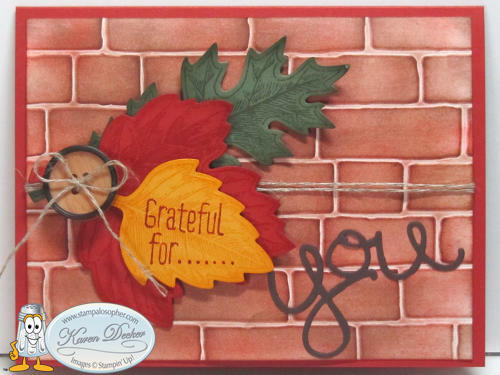 Five embossing folders are retiring but the one that I will miss the most is the ‘Brick Wall’ embossing folder. Remember this card from the past? Sigh……. 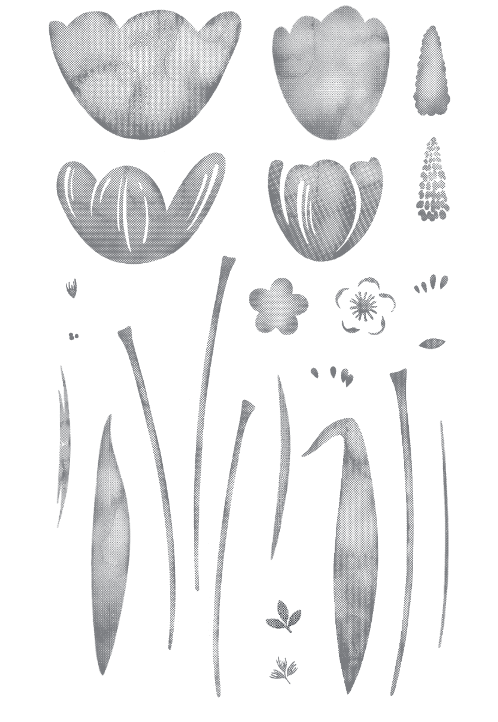 But wait until June when I can show you a most amazing new embossing folder called “Tufted”. For those of you who have received your catalog, check out page 223. Need a catalog? Come to my catalog launch on June 8-9 from 8-3 held in conjunction with the craft sale. If you can’t make that, order $50 from me and I will send you a catalog. Single catalogs will be available to order starting June 1 as well. 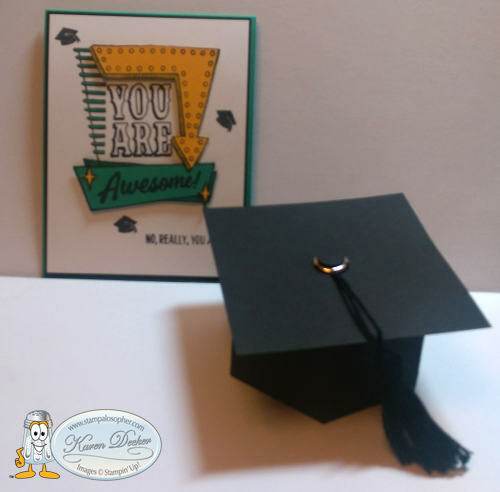 And if you need a unique gift box for that special graduate’s gift card, I suggest the Window Box Thinlits dies #142762 topped with a square piece of cardstock, 4″X4″ and a tassle made from our solid black baker’s twine and a 1/2″ punched black circle glued on a large brad. 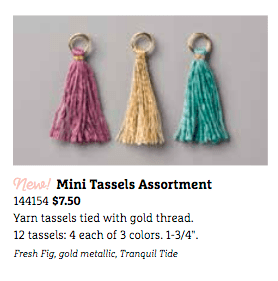 We have a ‘Mini Tassels Assortment’ you can purchase and then dip in a bowl of reinker to make just the right color. Yes, it is retiring as well. 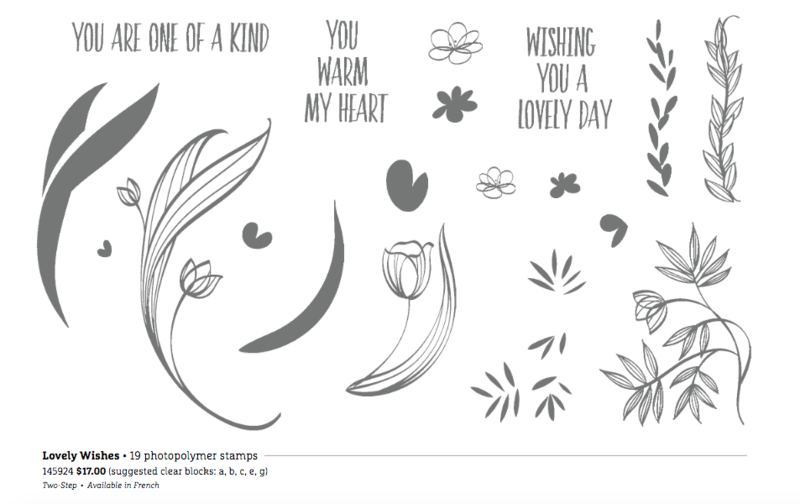 You would need the longer ones for the box above but these would be cute on a card front with a punched cap. I can’t leave today’s ultra-long post without sharing three other cards from the past that use retiring products. In the last post I showed my favorite retiring stamp set in use on an Eclipse card. 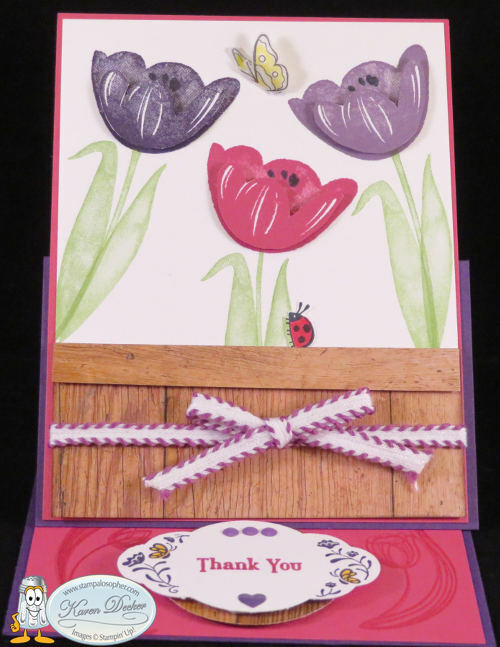 Here is another card we made at a past club meeting with the ‘Awesomely Artistic’ set, page 153 and the ‘Wild About Flowers’ set on page 174 which has greetings that are so ideal for retirement or new beginnings. Both are retiring. 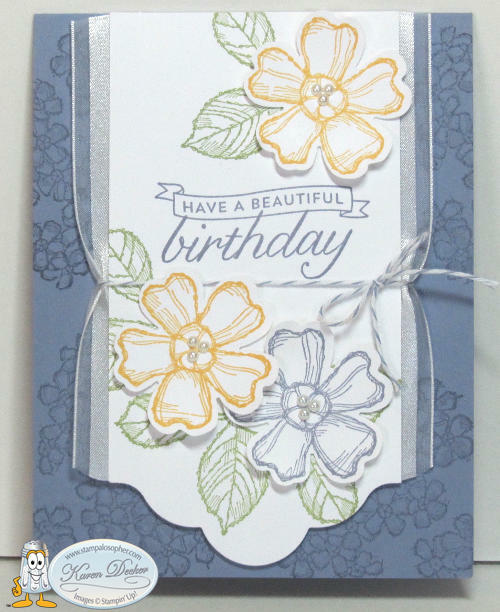 This is the ‘Birthday Blossoms’ set on page 80 of the catalog. Scroll down in the Recipe Box to find these cards with instructions. 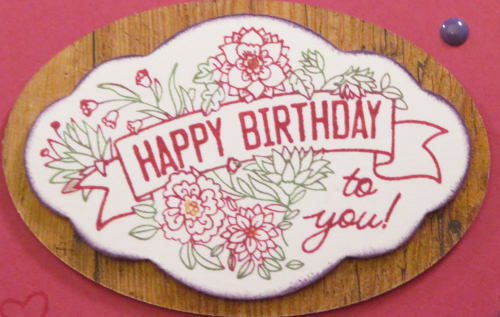 ‘Birthday Blooms’ , page 70, also goes away. This pull up card was fun to make at club. Go to the Recipe Box tab to be directed to the original post. 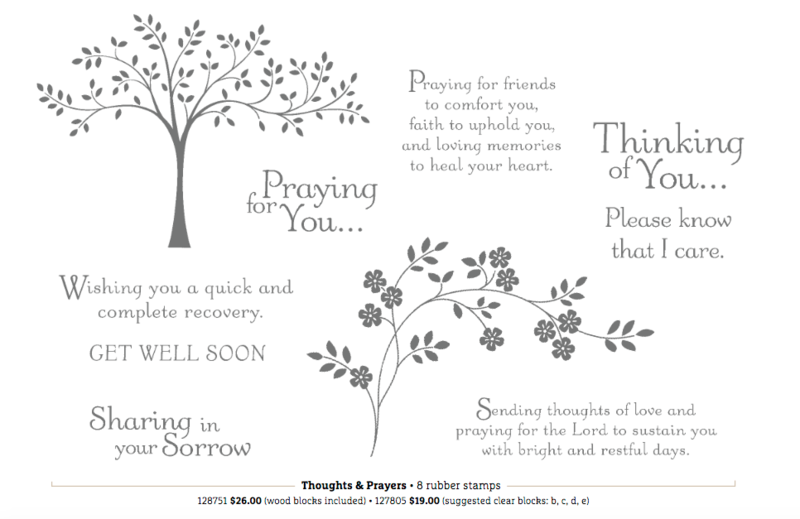 I can’t tell you how many times I have used the ‘Thoughts and Prayers’ stamp set for cards. I hoped it would be in the catalog forever but it is retiring. Thank you for your time. I hope you won’t miss any of the retiring products and be disappointed. 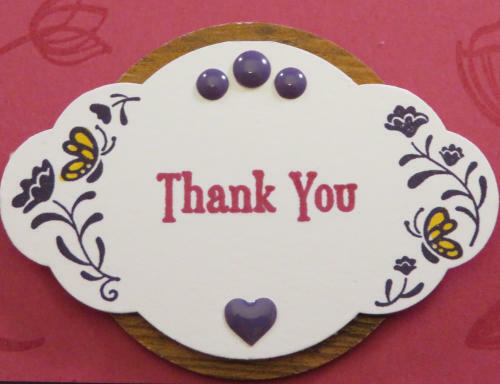 Thank you for choosing me as your demonstrator!